Everything you need to know from the biggest awards in black British music. 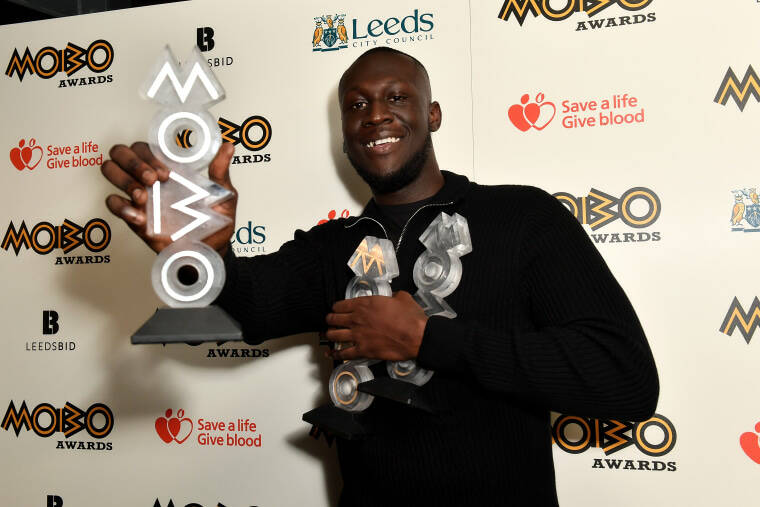 The MOBO Awards took place last night, November 29, with a ceremony held in Leeds, England. Performances on the night came from Cardi B, Stefflon Don, Krept & Konan, and Yungen among others. Nominees included Stormzy, J Hus, Giggs, Jorja Smith, Skepta, Sampha, and more. Here's a run down of every major event from the night. 1. Stormzy basically won everything. He collected three prizes: best male artist, best grime act, and best album, for Gang Signs & Prayer. 2. Cardi B performed live and made some new U.K. friends. 3. Stefflon Don won her first MOBO. 4. Labour leader Jeremy Corbyn said “It’s more important than ever that we celebrate black excellence." 5. "Man's Not Hot" showed no signs of slowing down. 6. Maya Jama broke out a wind machine, just because. 7. Jorja Smith was shining on the night too. 8. Idris Elba had a busy night. He picked up an award and hosted the official after-party. 9. The TV cameras picked up Davido's mood change significantly as he won Best African Act. 10. Blogger The Slumflower said what we were all thinking about Sampha on the red carpet. 11. But Stefflon Don's performance ensured the evening ended on a high.